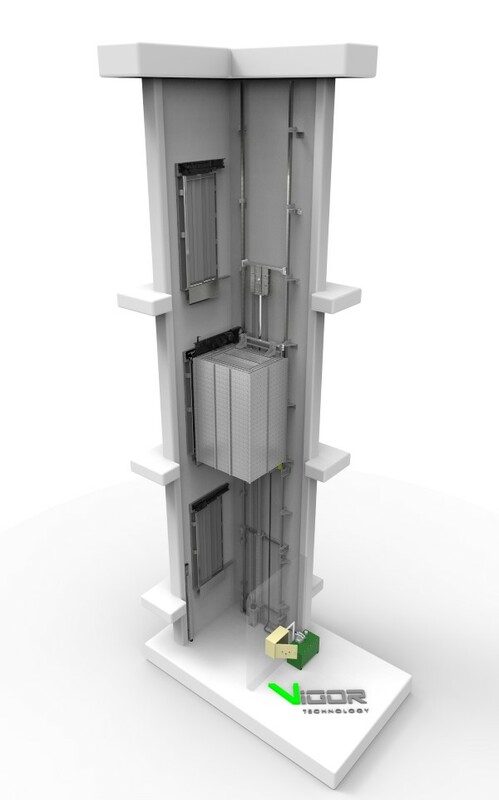 This type of elevators is designed for installation in buildings with low duty cycle. Its main advantages are the quiet operation, as well as minimum cost. This type of elevator equipment is for small, but also for large nominal load capacity. Taking into consideration all the innovations applied in this type of elevator, we are able to install it even in a narrow, between stairs, space. We can install elevators in buildings with non-standard planning and other architectural specializations (such as buildings, where the reconstruction has to be performed but lifting equipment was not originally provided).